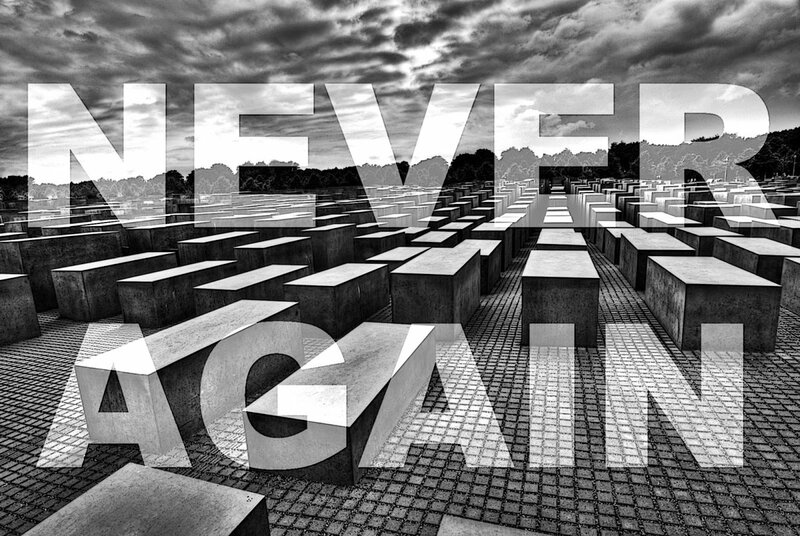 NEVER AGAIN to concentration camps, ethnic cleansing, persecution, extermination and wars. In order to achieve this, we need to ensure that the past is not forgotten. Fascist and neo-nazi groups are looking again for scapegoats, encouraging us to hate our neighbor. 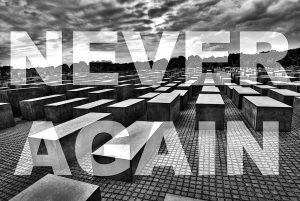 We must remember that the Holocaust happened with the tacit acceptance and support of the vast majority. Today, hate speech and hate crimes are everyday realities, as far-right and neo-nazi parties are elected to parliaments, and xenophobic and intolerant propaganda are legitimized in our societies. In Cyprus, fascist supporters and nostalgists base their action on hatred against migrants and refugees, as well as their intolerant nationalism against the Turkish and Muslim populations. These groups idolize Grivas and his disastrous actions in support of enosis (union) with Greece. Grivas was a collaborator of fascists in Greece, and has the blood of political opponents and anti-fascists on his hands more than others in both occupation and post-war Greece. Grivas has contributed more than anyone else to the cultivation of disastrous hatred between the two major ethnic groups in Cyprus – Greek and Turkish Cypriots. Grivas is the founder of EOKA B, the criminal organization which, under his guidance, dismantled constitutional order and led the country into de facto partition. Under these circumstances, KISA considers that the struggle against fascism is linked to the fight against all attempts to revive and praise Grivas and his ideas, which are unfortunately often legitimized by Municipal Council decisions to build monuments in his name or through the presence of politicians in memorials and anniversaries concerning him. The presidential candidates and supporting political forces to show zero tolerance to neo-nazis, nostalgists of fascism and Grivas. The House of Representative to institute legislation prohibiting the propagation of the fascist ideology and symbols, to declare EOKA B an outlaw terrorist organization, thereby prohibiting the glorification and dissemination of its action and members in any way and means. The Government and especially the Ministry of Education to teach the true image and actions of EOKA B and its members, especially its founder Georgios Grivas, within the educational system. The Ministry of Education to prohibit any organized school visits to EOKA B memorials and other sites, especially of its founder, Georgios Grivas.